120,000 members of the Likud will be eligible to vote and choose the party's list for the 21st Knesset. At 10:00 a.m. on Tuesday morning, 113 polling stations will be opened throughout the country, in which about 120,000 members of the Likud will be eligible to vote and choose the party's list for the elections for the 21st Knesset. 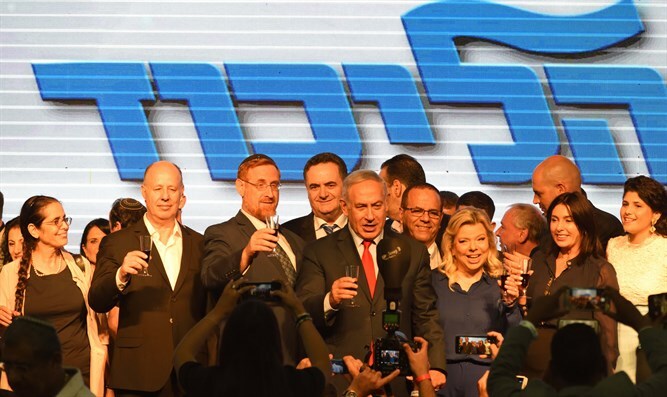 142 candidates will compete for realistic seats on the Likud list, including 30 current Knesset members and ministers who will fight for a place on the national list. It is estimated that between eight and ten current Knesset members will not be placed in realistic spots on the list for the next Knesset. The polling stations will close at 10:00 p.m. The ballots will be counted in the voting centers and then transferred to the primary war room that was established in Kfar Maccabiah. As the counting will be done manually, the official and final results will likely not be published until Wednesday morning. Prime Minister Binyamin Netanyahu published a video in advance of the primaries in the Likud, calling on the members of the party to approve his proposal to reserve three spots on the Knesset list – 21, 28 and 36 – for candidates of his choice. "The connections on the left endanger us," Netanyahu said in the video. "The proposal will increase our chances of winning. I am asking you to reserve three candidates in lower spots on the list in order to assure the Likud the ability to deal with the connections between the leftist parties. It is important that the Likud form the next government."